I keep looking at the new Honda shadow and think this would make a great street tracker. might be even able to use parts made for a sportster to make it into one. 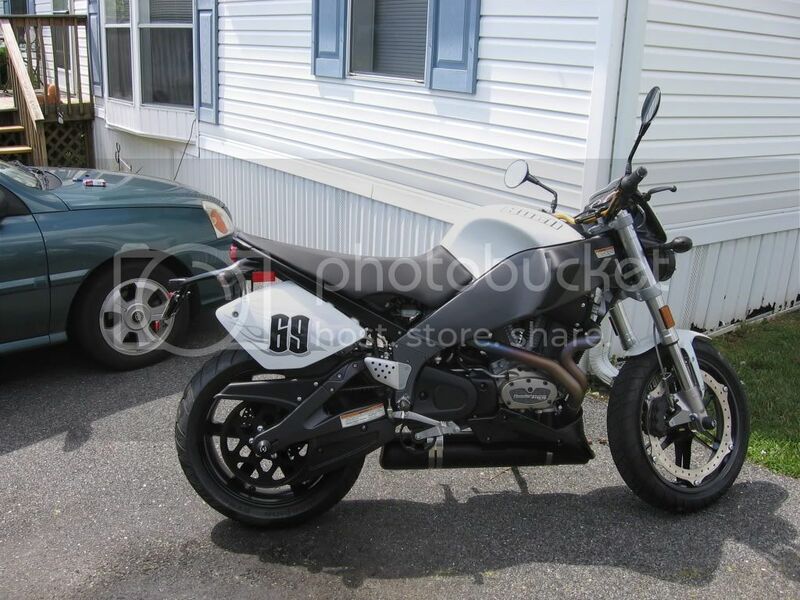 I love my Buell but this would be a great 2nd bike. Sounds like a great bike , good luck with her. Oh just bring something to cover the gel seat if it going to be in the sun for 10 mins or more . the get hot fast. I just don't know. I drive a 65" truck and car driver can't see that either. The older drivers that can't see us souldn't be on the road and no matter what you wear they still won;t see you. They others that don't see you just don't care. How do you like the Versys???? Is the engine rev happy or is really a good around the city town bike .I like the looks of them , but never rode one yet. WhaT IS A Naked Standard??? A standard was always a non fairing bike with more of mid foot controls. 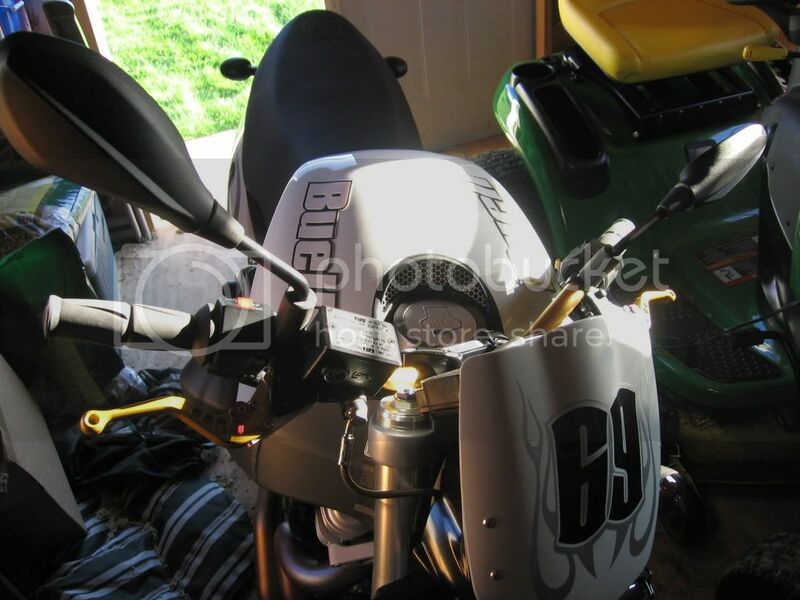 the are only a few bikes like that, Some sportbike have a more up right riding egros and there are naked sport bikes. You must be kidding, I been trying to upload a pic , no good . resize it smaller , still no good. Gave up. I had one , I had trouble with cooling on it, watch for that. BMW alway look good black. The wave. when I started riding it ment more does now. I don't wave no more, and it not because of other riders. I want to keep both hand where they sould be just in case someone in a 4 wheel has their head up there but . I save my hello's now for when I stop and I see other riders. I check my PMs it says I have none. I might have found a bike for free. going to need a rebuild but it a honda 305 dream and it is for free. I can get parts or a new motor from china. That's all honda small engines come from anyway. Harley ended Buell because it was biting into their sales, when they started they thought it was going to bring in young new riders , but it didn't. older riders like me,(49) started buying Buells, and we are harleys age group. so Harley Killed buell. looking around here for a older japanese project bike, these guys really think they are selling gold. one guy wanted 3500 for a old rebel 450. crazy. Just write Erik , he will write back, He has plans.